Enclosure manufacturer CMP developed its VKS software to reduce defects and now it’s available to other manufacturers. Zero defect manufacturing is a big promise to make, not that CMP Advanced Manufacturing Solutions is making such a pledge just yet, but the designer and manufacturer of large-sized metal enclosures is confident its Visual Knowledge System (VKS) software will help it get there. CMP, founded in 1969, is a family business started by Hans Zimmermann. Now the company is helmed by Zimmermann’s son Steve, 52, who invested more than $5 million in VKS, a project implemented at its Chateauguay, Que. plant by his own son Ryan, 24. The system has helped CMP reduce production variables. 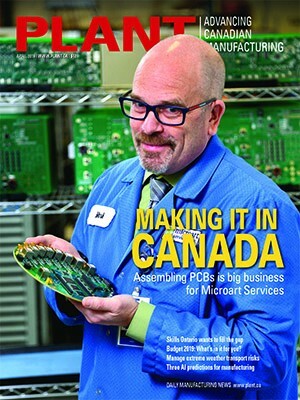 The company’s 138,000 square-foot facility in Chateauguay, a suburb of about 45,000, 30 minutes southwest of Montreal, produces painted shells for ultra-sound machines, security scanners and server racks. It’s also making doors for the next generation of Bombardier metro (subway) cars and bicycle stands for Bixi, the urban bike-rental system. CMP employs more than 200 people in Quebec, 100 employees at a factory in Binghamton, NY, and another 100 in Zapopan, Mexico, which sells mostly to Mexico and the southern US; and it’s set to hit sales of $70 million this year. More than 90% of its products are destined for US-based customers. It will also make lithium-ion battery enclosures for Tesla, which makes those high-end electric cars, a project the youngest Zimmermann says CMP wouldn’t have been able to complete before VKS. “Twenty years ago we wouldn’t have considered (Tesla) because of the risk. With VKS we can cover our backs,” says Ryan, VKS’s implementation manager. Now the software, officially introduced in April at the American Society of Quality Conference in Indianapolis, is available to other manufacturers. The system allows companies to create an electronic or hard copy Visual Instruction File (VIF), a document that illustrates a process through a combination of digital images and text that are easy to understand and show realistically how a process or job needs to be performed. The VIFs are displayed on wireless, touch-screen viewer stations, and the software is cloud based – a valuable feature that allows companies to access their own system securely in different parts of the world. “I can send an e-mail from Mexico requesting a visual aid for a specific process, and our software editors upload it immediately from Montreal,” says Zimmermann. No more digging for documents in a file cabinet to figure out what to do with specific pieces or products. Instead, operators scan a bar code attached to the piece, then video and written instructions appear on the touch screen. CMP claims the technology boosts quality, an operator’s efficiency and productivity. In 2011 CMP started to invest heavily in the technology, hiring three back-end and front-end software designers. When it put the system to work, the pemsert rejection rate was reduced by 70%. “We needed to optimize implementation at our own operations first and now we’re able to show our customers the impact it had here, which is huge for us,” says Zimmermann. The system also manages inventory, equipment up-time, internal monitoring, process control and standardization. A customizable form option appears at a pre-determined time allowing operators to acknowledge certain requirements and input requested data, which is then stored in an online archive. “Those forms can be customized as quality checklists, which we’re able to provide to customers,” he says. An auto-advance tool links machines and tools with the VKS system so the software acknowledges when the operator completes a step in the process, progressing to the next one only when the system recognizes the prior one is complete. Adding to the cool factor: the system actually links with specific screw torques if specific parts require it. “That feature gives us the ability to build more complex parts for industries where zero defect guarantees are required,” he adds. And as technical as the system may be, using it is easy. With internal testing processes complete, the team will shift its energy to getting the product out to customers. Zimmermann says CMP will also offer implementation and consulting services. As for pricing, CMP will charge a monthly fee based on user accounts, depending on the kind of user. Standard users are shop-floor employees, or “readers” amounting to $13.50 a month each. “Authors” or administrators – the people who actually create the visual instructions, manage a company’s back-end, and generate reports and key performance indicators – would cost $135 per month each. CMP says a company of about 100 people would require up to three privileged users, while the remainder would be standard users. As VKS customers get their plants in order, CMP will continue working on reaching the Ground Zero of defect-free production. 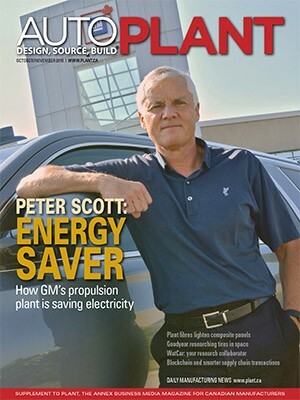 This article appears in the May/June edition of PLANT. From PLANT’s print edition: Guess who needs a makeover?